A member of the Massachusetts Agricultural College class of 1919, Ervin Sidney Stockwell, Jr. (1898-1983) was born in Winthrop, Mass., to Grace Cobb and E. Sidney Cobb, Sr., a successful business man and owner of a wholesale dairy. 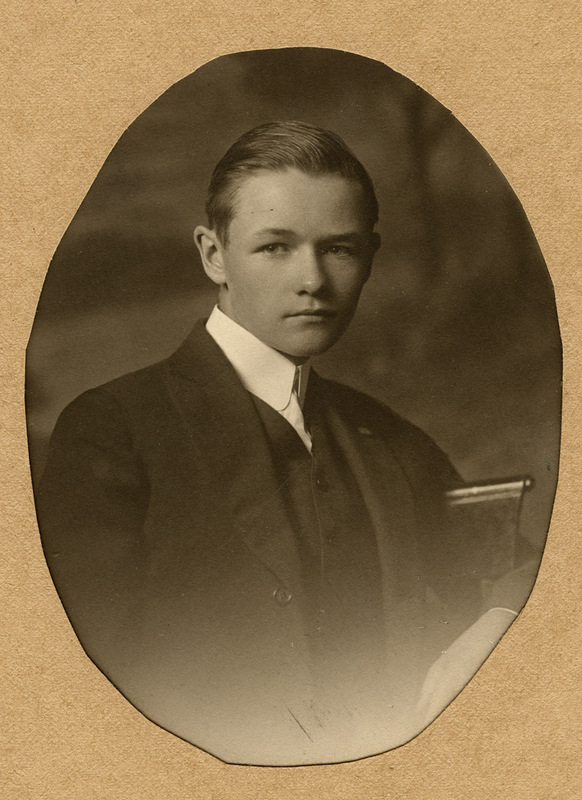 Entering MAC as a freshman in 1915, Stockwell, Jr., studied agricultural economics and during his time in Amherst, took part in the college debate team, winning his class award for oratory, and dramatics with the Roister Doisters. He performed military service in 1918 at Plattsburgh, N.Y., and Camp Lee, Va. Stockwell went on to found a successful custom-house brokerage in Boston, E. Sidney Import Export, and was followed at his alma mater by his son and great-grandson. The extensive correspondence between Sidney Stockwell and his mother, going in both directions, provides a remarkably in-depth perspective on a typical undergraduate’s life at Massachusetts Agricultural College during the time of the First World War, a period when MAC was considered an innovator in popular education. The letters touch on the typical issues of academic life and social activity, Stockwell’s hopes for the future, his military service and the war. Following graduation, Stockwell undertook an adventurous two year trip in which he worked his way westward across the country, traveling by rail and foot through the Dakotas, Wyoming and Montana, Washington state and California, taking odd jobs to earn his keep and writing home regularly to describe his journey. An oral history with Stockwell is available in the University Archives as part of the Class of 1919 project.